Apple on Wednesday announced a FaceTime application for Mac OS X, allowing Mac users to engage in video chat conversations with one another, as well as owners of the iPhone 4 and iPod touch. Apple Chief Executive Steve Jobs said that Apple, to date, has shipped more than 19 million FaceTime devices. The video chat feature was previously available for the iPhone and iPod touch. FaceTime functionality is available today via apple.com in a beta release. 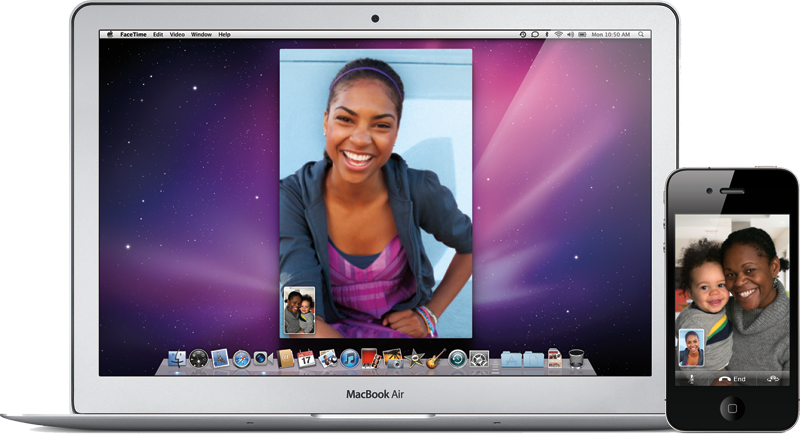 Jobs said the addition of the Mac will bring tens of millions of new users to the open video chat standard. "I think people are going to like this based on the requests we've gotten," Jobs said. Featuring an easy to use interface, FaceTime for Mac automatically uses your Address Book contacts so theres no need to create special buddy lists, and it works seamlessly with the built-in camera and mic on Mac notebooks, iMac and Apple LED Cinema Displays. "FaceTime makes video calling to or from mobile devices easy for the first time," Jobs said in a press release. "Weve sold more than 19 million FaceTime-ready iPhone 4 and iPod touch devices in the past four months, and now those users can make FaceTime calls with tens of millions of Mac users." FaceTime requires Mac OS X 10.6 Snow Leopard and can be set up using an Apple ID. The public beta is available at www.apple.com/mac/facetime.